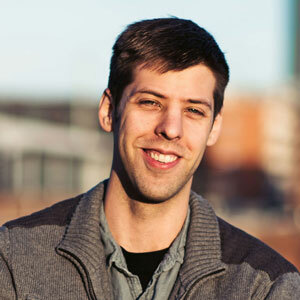 Ditto Music is a music distribution platform that allows music artists to add and distribute their music to platforms such as Spotify, iTunes, etc. 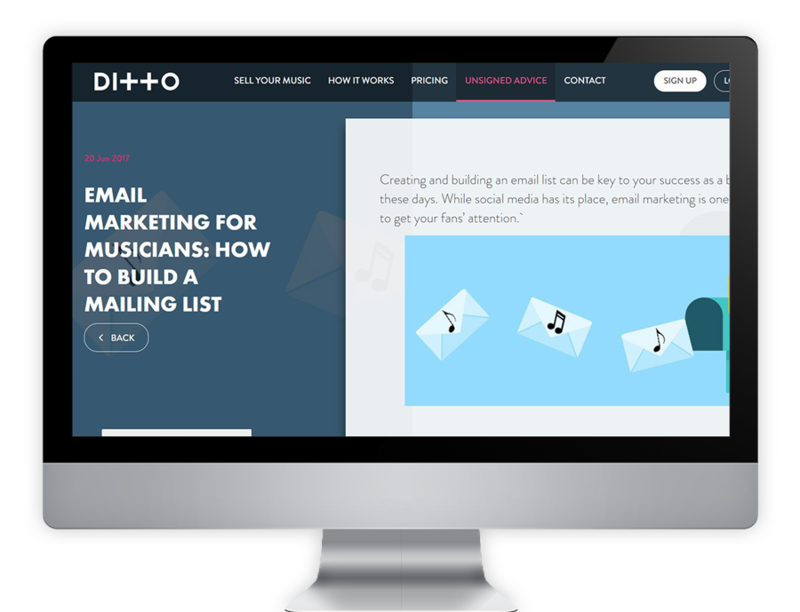 The blog post detailed here, “Email Marketing for Musicians: How to Build a Mailing List”, was published as a guest post to the Ditto Music blog. The target keyword was “email marketing for musicians”. 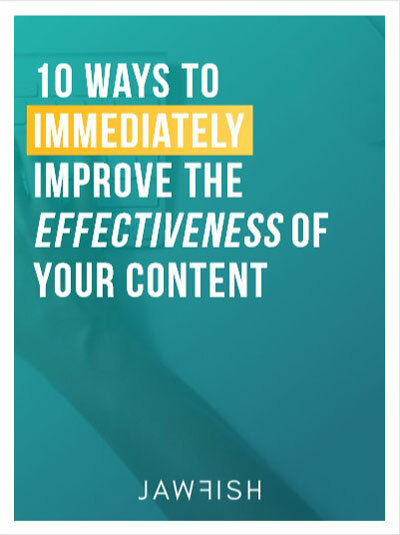 The post went live in July 2017. As you can see in the screenshots below, the blog post ranks as the on the 1st page of Google as the 4th result for that specific search. 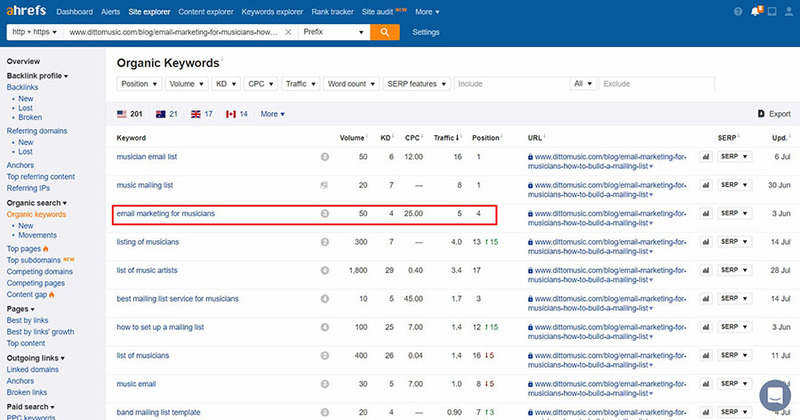 It also ranks for related keywords such as “musician email list” and “how to set up a mailing list”.